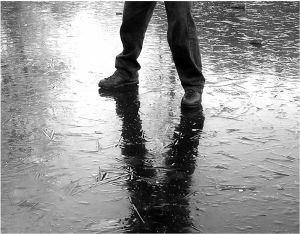 The Massachusetts Supreme Court has reversed an earlier judgment in favor of a city/ landowner in a slip-and-fall negligence case, wherein a mother attending a parent-teacher conference was seriously hurt after slipping and falling on ice. The court found in Wilkins v. City of Haverhill that the purpose of the land, as it relates to the statute, was altered at the time of the incident because it was only open to a small, discrete group during those hours. Had it occurred during normal business hours, the result may have been different. Boston fall accident attorneys understand at the center of this case is Mass. Gen. Laws ch. 21, 17C. This statute bars claims of ordinary negligence against any landowner (including a government landowner) that has opened the land for use by the public for purposes of education, recreation, conservation, religious activities (as well as a few others) without charging any sort of fee. In this case, according to court records, the plaintiff arrived at the public school facility, owned and operated by the city, one evening in early February. She was there to attend a scheduled parent-teacher conference with respect to her child, a student at the school. Ice had accumulated along the walkway, and the mother slipped and fell, sustaining injuries. She later sued the city on the grounds that its negligence in maintaining the walkways caused her to fall. In seeking a summary judgment, the city pointed to the statute in Chapter 21, which the school asserted indemnified it against legal action. The superior court granted the motion, and the state supreme court allowed direct appeal. In its decision to reverse the superior court’s ruling, the state supreme court indicated it needed to interpret the scope of the term “public use” under the listed statute in order to determine whether the lower court’s ruling was proper. The city had argued that the mother should be considered a “member of the public” who was at the school for purposes that qualified as “educational,” meaning that her claim was barred by the statute. This was not a case wherein the community as a whole was invited to be on school grounds, no matter what the purpose. This was a situation where a single individual was an invitee on the premises for a scheduled appointment. This was not an activity open to the public, but rather solely the student, the student’s parents and the teacher. Even in conceding that such invitation was open to all parents of students at the school, this invitation was still limited to a comparatively small portion of the general public. Further, the court contended that even though the school serves a purpose that is generally educational, the mother’s presence at a parent-teacher conference, although indirectly related to her child’s education, was not in and of itself for the purposes of education. Therefore, the meeting did not fall within the statute. As such, her lawsuit claiming negligence against the school will be allowed to proceed.